Listed below are Children's toys items for you to car boot sale online here that you will find available in United Kingdom. If you cannot find the Children's toys items that you are looking for in United Kingdom you can add your wanted item to let sellers contact you if they have any Children's toys items available for you. You can keep your contact information confidential. Enter only an email address in your car boot sale ad to receive offers into your account on our system. We will remind you automatically when new offers arrive for you. To offer your items for sale on this online car boot sale in United Kingdom simply click Post free ads for Children's toys link below or the button Post free ad in top right corner of this page. It is fast, easy and free to post an ad in 2lazy2boot. It will take you just few minutes to have the ad seen on our listings. You can then edit your ads any time by clicking “Member area" button on top right corner of this page. Wooden creative, sensory toy with a magic trick. See your coins disappear and magically reappear. Measuring 19 inches x 2.2 inches, this brightly coloured puzzle is made from ecologically sustainable wooden blocks, which are fixed together with a ribbon, and cleverly cut allowing them to be locked and angled to make shapes and figures. 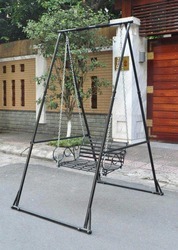 Swing is one of the favorite games of children, as well as a relaxing chair for adult after a tiring day of work. With Model KT2.XDD, you can change the pull up bar to swing and vice versa in a few seconds, to make the best use of A-shaped pull up bar and bring joy to your kids. Model KT2.XDD is a set of 01 swing chair, 04 chains and 02 hooks, which can be hung on handle bar. Ask me a question Eeyore from a smoke and pet free home. Fully working. 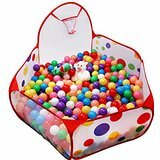 Spotty pop up ball pool with shooting hoop and no balls. Unused. 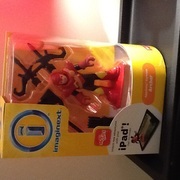 Hardly used but also includes sensory accessories. Gorgeous little tunnel with lots to keep baby amused. Can deliver to local FY area. Fantastic indoor or outdoor first trampoline. 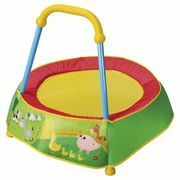 Has a safety handle so baby can hold on whilst they jump, covered metal base. Hardly used. Can deliver to FY area. Pink Disney princess kitchen plus some utensils. Stands approx 3ft tall. For sale in Hereford. May be able to deliver locally..
mixed children's soft toys 11 in total . good condition. mixed 6 months+ toys 10 in total. a mix of 0-3 month toys 10 in total. Brand new/boxed Can post or item can be collected from Walsall. Brand new/boxed Walsall collection Can drop or post More items for sale on my Facebook page: Gab UK. Sit to Stand, dancing tower. Lights, music and learning activity features in this educational but fun children's toy. Adjustable height, according to your baby's stage of development, graduate the height to encourage your baby to stand. Paid £60 would like £15 as in a vgc as hardly used , due to son being very poorly. Pick up/collection, Nottingham. Girls pink ride on wooden car suits 12 to 24 months excellent condition used at grand parents house. Hot Wheels loop the loop track and over 30 assorted vehicles. Track clamps onto table or shelf..
Puppy In My Pocket Play House with Puppies and Kittens.Very god condition. Childrens blu roller blades size 9 - 12. Wheels can be configured as in line or one at the front 2 to the rear for stability..
Littlest Pet Shop house and Playsets, including animals, very good condition..
Well here you go. Good luck with your on line car boot sale in United Kingdom. We hope you have some success and find buyers/sellers that you are looking for in Children's toys . Don’ t forget to comment any successes in selling your Children's toys items in United Kingdom to our valuation window and report forum! 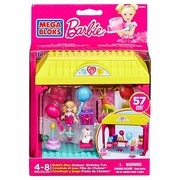 We are sure you will find many people in United Kingdom looking for your Children's toys. United Kingdom car boot sale. 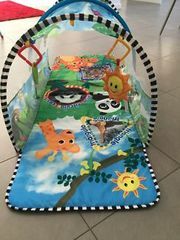 Children's toys for sale ads on online car boot sale in United Kingdom, second hand Children's toys for sale in United Kingdom, Children's toys ads for free in United Kingdom, 2lazy2boot - United Kingdom car boot fairs.